We all know how important credit scores are, yet it’s easy to forget about them in day-to-day living until you need that car loan or mortgage, only to find that your score isn’t want it should be. While credit repair companies can help, there are a few surprising tricks you can do to fix credit scores now. As you rebuild credit, consider these surprising steps. Paying down debt is good, but paying it down strategically will bring the best gains. Pay down debt in such a way that your debts are about 33 percent of the limit on each debt. Making several small payments throughout the month will lower your debt more quickly and also improve your credit score rapidly, because doing so improves your credit utilization ratio, which is 30 percent of your score. Do you have a card or credit line in good standing? Asking for an increase could actually improve your score, because it will improve that credit utilization ratio. Just don’t call if your account is not on solid ground. Your bank might answer by lowering your limit. If you want to rebuild credit you should cut up your credit cards, right? Wrong! Cutting up cards might keep you from adding huge balances, but realistically your credit history needs to show some active cards. Step away from the scissors! Instead, use the card, but pay it off each month. That little error on your credit report might not seem like a big deal, but it could be more damaging than you think. Don’t let it sit there. Dispute it. If you’re successful, you’ll see your scores jump up quickly. What do your cable provider, wireless provider, telephone company and utility company all have in common? They can impact your credit score, but only if they report. All it takes is a call to ask if they will report your account. Provided it’s in good standing, it will raise your FICO score. Paying before the due date is good, right? Wrong! If you want to make your credit score jump, try to pay before the report date. Find out when the credit card company reports your balance to the credit reporting agency, and make a payment before that date. Doing so will make the charge look as though it never existed. 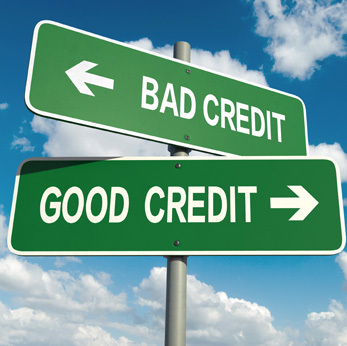 Adding more credit won’t repair credit problems, will it? It will if you are adding a different type of credit. Lenders want to see a variety of credit types. Add an installment loan to your credit cards to give your score a boost. Paying off a credit card feels like such a relief, your first inclination is going to be to call that company with great gusto and demand that they cancel your account. While that might feel rewarding, it’s a mistake. Closing a bunch of cards will actually deal a blow to your credit score. Yep, opening a new card will actually help your credit. Now, this doesn’t mean opening a new card and filling it up right away. Instead, open a new card that has favorable terms and use it responsibly. Doing so will increase that debt-to-available credit ratio, which will boost your score. Keep in mind that credit scores do go down for four to eight weeks after opening a new card, but after that you should see a bump.